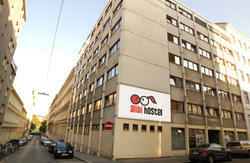 Centrally located directly at Vienna Naschmarkt, Wombats opened the doors to its third Vienna hostel on March 1st 2011. No matter what you want to see in Vienna, it is all just moments away from Wombats City Hostel Vienna at the Naschmarkt. The center can be reached within in minutes by foot and the nearby U4 (at underground station Kettenbrueckengasse) provides a short connection between Schoenbrunn palace and the city center. 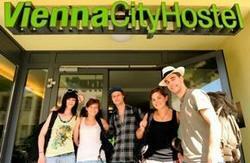 It is ideal for anyone who wants to explore Vienna by day or night! Other free goodies include free Wi-Fi in the lobby, bar, guest kitchen and breakfast area, free bed sheets, free use of our travel guidebooks, free luggage storage, a free welcome drink and free lockers in every room. We also offer free maps for Vienna, Munich, Berlin and Budapest, loads and loads of free brochures on tours, sights, accommodation and other destinations in Europe, and our free walking tour. We offer an all-you-can-eat breakfast for an extra 3,90 euros; our lively womBAR serves cheap drinks and food, internet terminals, laundromats, 24 hours reception service and - of course - no age limit, no curfew, no lockout and no stupid rules. Finally, Wombat is no dirt cheap. You might find an even cheaper place to crash in town, but none where you get more value for your money. Please note that our rates don not include breakfast; the all-you-can-eat continental buffet brekkie might be enjoyed for the bargain price of 3,80euros. There is no need to reserve breakfast, just come to the reception in the morning and buy a ticket if you are hungry. Follow the signs to underground U3/U6. Take the U6 (direction Siebenhirten) to â€œLÃ¤ngenfeldgasseâ€ â€“ change to U4 (direction Heiligenstadt) and get off at â€œKettenbrÃ¼ckengasseâ€. Take exit â€œKettenbrÃ¼ckengasseâ€. Cross KettenbrÃ¼ckengasse and Rechte Wienzeile. Turn left and walk the last 100 meters to wombatâ€™s CITY HOSTEL Vienna at â€žThe Naschmarktâ€œ. Travel time approx. 12 minutes. Hauptbahnhof is partly closed down from DECEMBER 2009 due to construction work! Please check whether your train arrives at HAUPTBAHNHOF or its temporary substitute WIEN MEIDLING!! Walk to U1 â€œSÃ¼dtiroler Platzâ€ (5 minutes) â€“ take the metro U1 (direction Leopoldau) and get off at â€œKarlsplatzâ€. Change to U4 (direction HÃ¼tteldorf) and get off at â€œKettenbrÃ¼ckengasseâ€. Take exit â€œKettenbrÃ¼ckengasseâ€. Cross KettenbrÃ¼ckengasse and Rechte Wienzeile. Turn left and walk the last 100 meters to wombatâ€™s CITY HOSTEL Vienna at â€žThe Naschmarktâ€œ. Take the U6 direction Floridsdorf to â€œLÃ¤ngenfeldgasseâ€. From here, take the U4 (direction Heiligenstadt) and get off at â€œKettenbrÃ¼ckengasseâ€. Take exit â€œKettenbrÃ¼ckengasseâ€. Cross KettenbrÃ¼ckengasse and Rechte Wienzeile. Turn left and walk the last 100 meters to wombatâ€™s CITY HOSTEL Vienna at â€žThe Naschmarktâ€œ. Take tram number 5 one stop to â€œFriedensbrÃ¼ckeâ€. Change to metro U4 (direction HÃ¼tteldorf) to â€œKettenbrÃ¼ckengasseâ€. Take exit â€œKettenbrÃ¼ckengasseâ€. Cross KettenbrÃ¼ckengasse and Rechte Wienzeile. Turn left and walk the last 100 meters to wombatâ€™s CITY HOSTEL Vienna at â€žThe Naschmarktâ€œ. Travel time approx. 20 minutes. Take metro U1 to Karlsplatz; from there you can take U4 direction HÃ¼tteldorf for one stop to KettenbrÃ¼ckengasse. Take exit â€œKettenbrÃ¼ckengasseâ€. Cross KettenbrÃ¼ckengasse and Rechte Wienzeile. Turn left and walk the last 100 meters to wombatâ€™s CITY HOSTEL Vienna at â€žThe Naschmarktâ€œ. Or if your luggage is not too heavy, you can also walk from Karlsplatz to the hostel directly. Take the metro U3 direction Ottakring until station â€œLandstrasseâ€. There you switch to U4 direction HÃ¼tteldorf and get off at â€œKettenbrÃ¼ckengasseâ€. Take exit â€œKettenbrÃ¼ckengasseâ€. Cross KettenbrÃ¼ckengasse and Rechte Wienzeile. 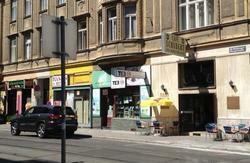 Turn left and walk the last 100 meters to wombatâ€™s CITY HOSTEL Vienna at â€žThe Naschmarktâ€. Take metro U2 to Karlsplatz; from there you can take U4 direction HÃ¼tteldorf for one stop to KettenbrÃ¼ckengasse. Take exit â€œKettenbrÃ¼ckengasseâ€. Cross KettenbrÃ¼ckengasse and Rechte Wienzeile. Turn left and walk the last 100 meters to wombatâ€™s CITY HOSTEL Vienna at â€žThe Naschmarktâ€œ. Or if your luggage is not too heavy, you can also walk from Karlsplatz to the hostel directly. 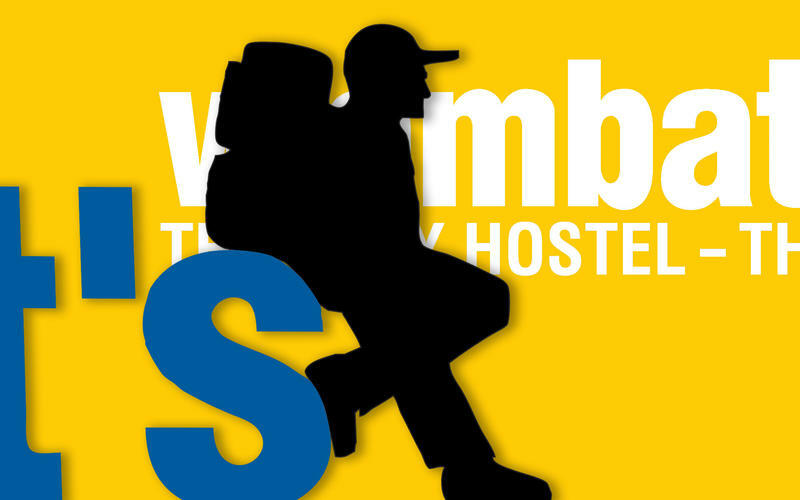 The quickest option is to take the shuttle bus to â€œSchwedenplatzâ€ (8 â‚¬). The cheapest option is to take the S-Bahn to â€œWien Mitteâ€ (4,20 â‚¬). From â€œSchwedenplatzâ€ and â€œWien Mitteâ€ you can take the U4 direction HÃ¼tteldorf to â€œKettenbrÃ¼ckengasseâ€. Take exit â€œKettenbrÃ¼ckengasseâ€. Cross KettenbrÃ¼ckengasse and Rechte Wienzeile. Turn left and walk the last 100 meters to wombatâ€™s CITY HOSTEL Vienna at â€žThe Naschmarktâ€œ. Travel time approx. 40 minutes. The â€˜City Airport Trainâ€™ (CAT) to â€œWien Mitteâ€ is a little faster than the S-Bahn but costs 10 â‚¬. The CAT-Ticket is NOT valid for the underground.